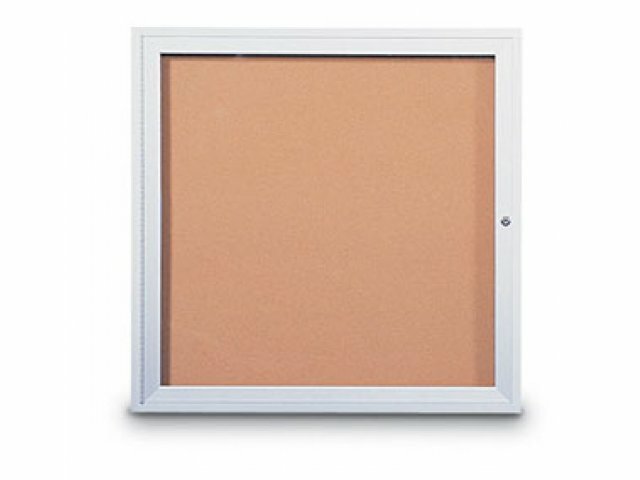 Aluminum Frame Indoor Directory 1-Door 30"x36"
These Cork Letter Directory Boards feature a natural pebble grain corkboard background. The directories are available in 1, 2, or 3 door units. All frames come with lockable doors and shatter-resistant acrylic and aluminum frames. Easy to Use: Letters mount securely on natural pebble grain corkboard. Holes instantly close when letters are changed. 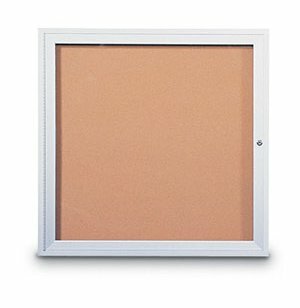 Tamperproof: Lockable doors and shatter-resistant frames ensure that only authorized messages are displayed. Units come with two keys, included. Options: Removable black and burgundy letter panels and letters must be ordered separately.